Their mascot might actually be better than ours! Way back in the early days of The Linux Experiment I came across an excellent podcast called Going Linux which offered beginners advice for those people trying out Linux for the first time or just wanting to know more about Linux in general. I so happy to see that the podcast is still going strong (now at over 300 episodes!) 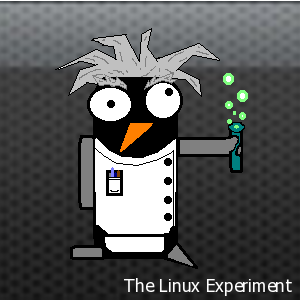 and wanted to mention them again here because they were very helpful in our original experiment’s goal of Going Linux. Please do check them out at http://goinglinux.com/ or subscribe to their podcast by following the steps here. vi(m) or emacs? Neither, just use nano!